Dumbo DVD and Blu-ray release date is estimated for July 2019 and available on Digital HD from Amazon Video and iTunes is estimated for July 2019. A live-action remake of the classic Disney cartoon about the little circus elephant who learns that nothing is impossible if you believe in yourself. It's even possible for an elephant to fly! But when Dumbo displays his abilities, an evil businessman buys his circus with plans to exploit him. 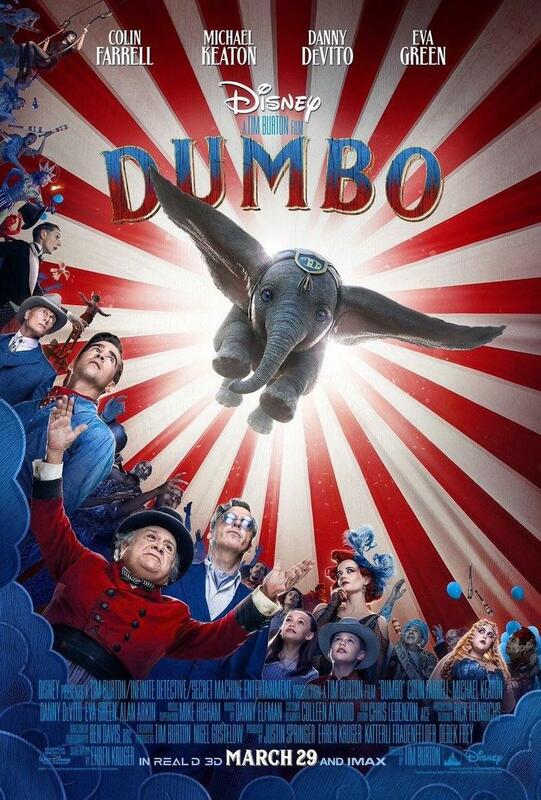 It's up to Dumbo's human friends to figure out a way to save both the little flying elephant and the circus. DVDs Release Dates is the best source to find out when does Dumbo come out on DVD and Blu-ray. Dates do change so check back often as the release approaches.